You can look back nearly 100 years and watch as America took a serious wrong turn on race. Indiana, too. Lynchings were widespread in the years right after World War I. Jim Crow laws solidified, and not just in the South. White mobs killed hundreds of African-Americans, including women and children, in East St. Louis, Illinois, Rosewood, Florida, Elaine, Arkansas, and Tulsa’s Greenwood district. 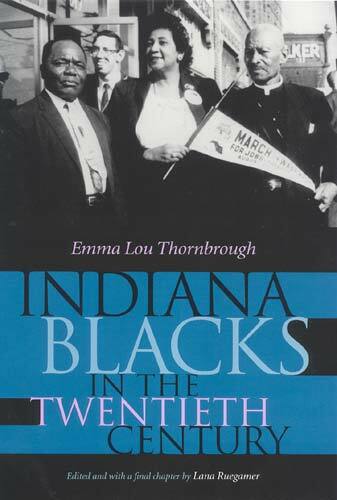 Indiana didn’t record incidents as horrific as those, but, as Emma Lou Thornbrough describes in the 2001 book “Indiana Blacks in the 20th Century,” the 1920s saw a rise in racial bias and racist policymaking that helps explain why Hoosier schools and communities are so divided by race today. This was the era when the Ku Klux Klan wielded more power in Indiana than in any other state. It gained control of the Republican Party and elected candidates for governor, state legislature, city councils and school boards. It was estimated that 25 percent of native-born white men were members. But the Indiana Klan of the 1920s was focused less on blacks than on immigrants, Catholics and booze, as historian Jim Madison has explained.The segregation of Indiana schools and neighborhoods was driven by white civic leaders, chambers of commerce and real estate organizations as well as by racist groups called the White Supremacy League and the White People’s Protective League. Monroe County Community School Corp.